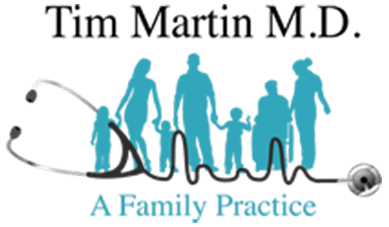 Pharmacy Policy - Abilene, TX: Tim Martin M.D. We will no longer be providing customer service to assist in solving problems created by the internal policies of these pharmacies or Insurance companies who require the use of these pharmacies. Each of these companies has begun a variety of policies that restrict, limit or in other ways prevent people from getting their prescriptions in a convenient and timely fashion. We are being asked multiple times a day to help our patients figure out how to solve the problems created by their pharmacies internal decision. You are free to request that we send your prescription to any pharmacy you choose, and we will. We suggest that, if possible, you call and confirm they have the medicine you are needing. But if you experience any difficulty at any of the three pharmacy chains listed above, we will not attempt to correct their action related to your choice and their decision. Excellent alternative pharmacies include, but are not limited to: James McCoy, Drug Emporium, HEB, Sam’s Club, Barnes & Williams, Market Street, and the United Pharmacies. Please feel free to ask us any questions regarding this new policy. Once again: We will send your prescription to the pharmacy of your choice. Thank you for your understanding as we help you with your healthcare!